Derby Day is right around the corner, and what better way to observe the annual Run for the Roses than by sipping a mint julep? This Vermont variation not only adds a regional twist but is also easier (and healthier!) to make, since you don’t have to dissolve sugar in water beforehand. Heat maple syrup to a simmer. Add fresh mint leaves, remove from heat. Let cool and stain out mint leaves. Store in refrigerator until ready to use. 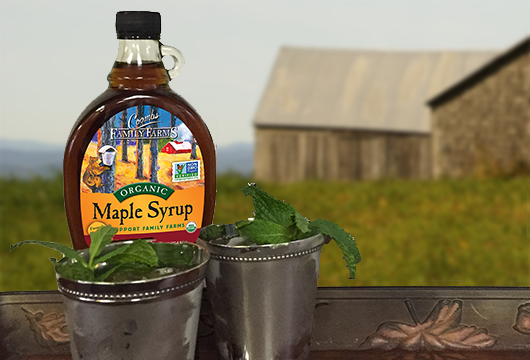 To highball glass or silver Julep cup, add minted maple syrup, then 1 cup crushed ice, bourbon, and splash of water. Add enough of remaining ice to almost fill glass. Stir well and garnish with mint sprig.